Treehouses are more popular today than ever before. Our original treehouse book, The Complete Guide: Build Your Kids a Treehouse, was published in 2007. It exceeded all sales projections right out of the gate and continues to be a leading title in the treehouse category. Now, we've made it even better. 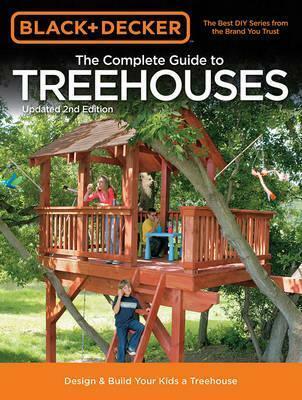 The expanded edition features three all-new treehouses shown in complete step by step detail, along with full plans. Also includes an expanded inspiration section, offering a wider variety of unique and interesting treehouses that generate ideas and excitement. Exciting book for parents or grandparents to use with their children.